Do you buy or import? 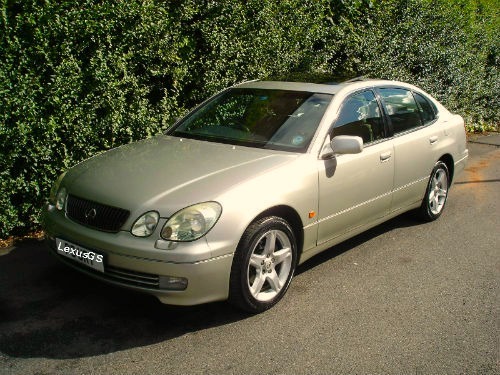 Buy a Cyprus car, or Import a car. That's the BIG Question? Buying, Importing, Registration, Duty Free, Duty Paid. Get inside knowledge and experiences for from our family living in Cyprus. Buying a car in Cyprus? When we first moved to Cyprus, we hired a car for the first few month while we looked around for a car. It was the best decision we made. There was no rushing around and buying sometime we didn't really want. My husband and I decided it may be best to buy a second hand 4 wheel drive pick up truck... for several reasons. Some of the minor roads in Cyprus are fairly rough. It would be great for going to the beach, just put the sunbeds and parasol in the back, a cool box, picnic and even the bbq. furniture, it would be ideal. Unfortunately, finding second hand pick up truck for sale was proving difficult. It seemed like everyone else was driving around in one, but could we find one for sale that wasn’t new, or was not a 2 wheel drive? Anyway, after a while, we decided just to buy a small run around, until a pick up turned up. We found a good Cyprus car dealer in Paralimni, who had a large selection of cars on sale. We decided on a Honda Fit, 1.3ltr; 2003 for a fairly good price (for Cyprus) at 4000 Cyprus pounds. Another reason we picked a small car was because our daughter was only 20 years old. The Cyprus car insurance had to cover all 3 of us. Being 20 years old, she could only get 3rd party insurance until she reaches 25 years old. We have never had a Honda before and I must say it is a very sturdy, responsive and nippy little run around. Plus it’s easy on the petrol. Goodness knows, during this major recession that’s a real plus. To this day, we still have the Honda Fit, our daughter uses it for work now. She works for a car rental company, so is always comparing it to all the cars she is driving. Cyprus does not have any car manufacturers. Therefore, it has to import cars from other countries. Many cars in Cyprus are imported from the UK and Japan. We have noticed more recently that a lot of cars are being imported from the UK to Cyprus car dealers. We haven’t figured out if there is some advantage for Cyprus to import from the UK, price and profit wise. If we can find out, I will post it here. When these imported cars, destined for Cyprus car dealerships arrive in Cyprus, import duties are levied and of course registration fees and the dreaded VAT. These costs incurred by the dealers are then passed on to the customer. Your not talking a few hundred Euros, its thousands. So basically, you will be paying a lot more for a car than it’s worth. Thanks to the high cost of duty, registration and clearing fees and other expenses put in place by the government. Comparing the price of buying in Cyprus to buying in the UK. To give you an idea of the difference in price of buying a car in Cyprus to another country, I can only choose the UK; purely because that’s our country of origin. I decided to look into buying a used Rav 4. Around a 2001 model. Price; 11.500 Euros, (approximately, 10.000 UK pounds. Please understand, this price is not inflated by Cyprus car dealers. The problem is Customs & Excise Duty and Registration fees incurred before the car dealer adds his percentage profit. Since Cyprus joined the EU, the government has ignored EU regulations to change the level of duty and registration fees imposed on importing new and used cars within the EU. I don’t have details of regulations for non EU member states. The reason for this is purely because it’s a minefield, sifting through the internet to find the appropriate information. I do know that cars coming in from Japan have the same high duty and registration costs. So I think I can safely say any cars imported to Cyprus from any other country are treated the same. I have contacted the EU commission to find out the present situation. Like everyone else, I find it ludicrous to pay high duty and registration fees on an EU member state car no matter the age of the vehicle. My own car was 9 years old when we imported it from the UK. There have been some changes to import duties in Cyprus. It seems that the cost of duty in some instances has been reduced. Its difficult to find out from the authorities. They don't like to share too much information with the public.